Locate the Impala's EGR valve. The EGR valve is located on the driver's side of the engine bay towards the rear, regardless of whether the vehicle is equipped with the 3.4 or the 3.8-liter engine. 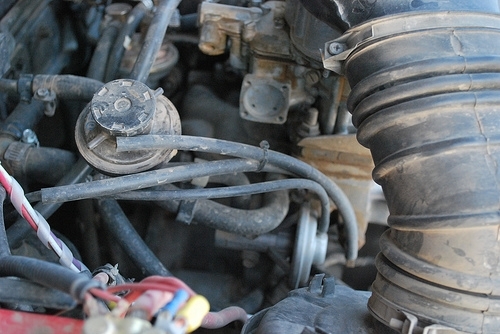 Use the pliers to remove the rubber tubes connected to the EGR valve. There will be one tube in the rear and one in the front. Be careful not do damage the tubing when you are sliding it off. 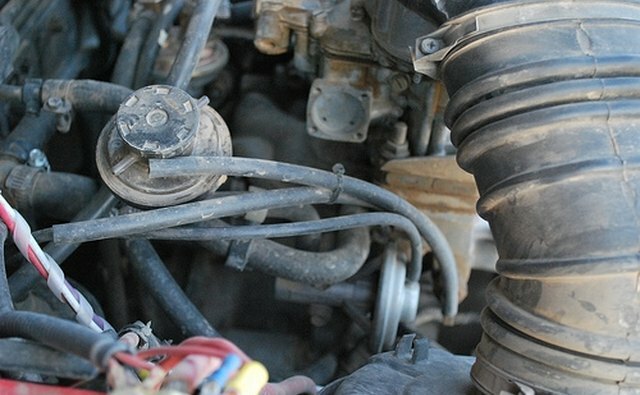 Use the socket wrench to remove the two bolts connected to the base of the EGR valve. If you feel a strong resistance, you may want to spray some anti-seizing compound on the bolts to help loosen them. Remove the EGR valve and the gasket from the mount. 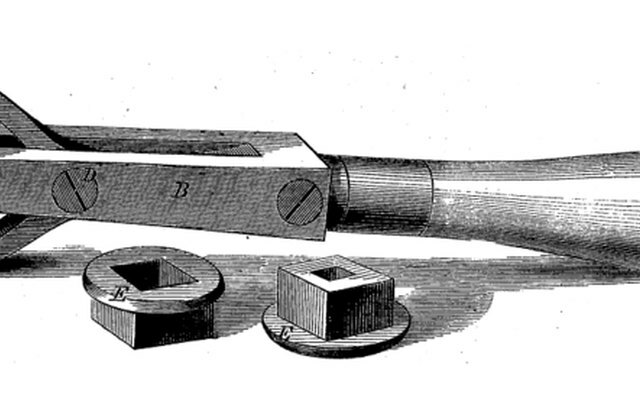 Once the valve is removed, the gasket should slide right off. Set the items aside. Place the new gasket over the mount, and then place the new EGR valve on top of it. Make sure they are properly lined up. Re-install the bolts and connect the tubing. Try to clean the EGR valve before replacing it. 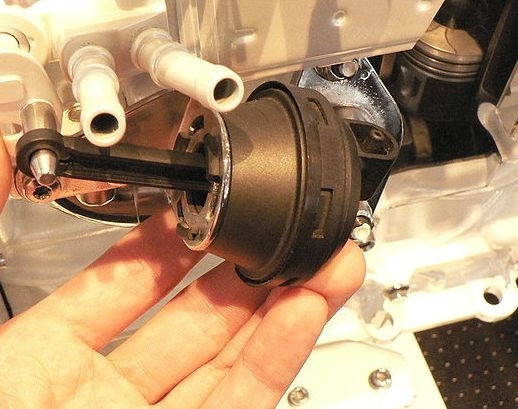 EGR valves get clogged with carbon buildup and can malfunction. 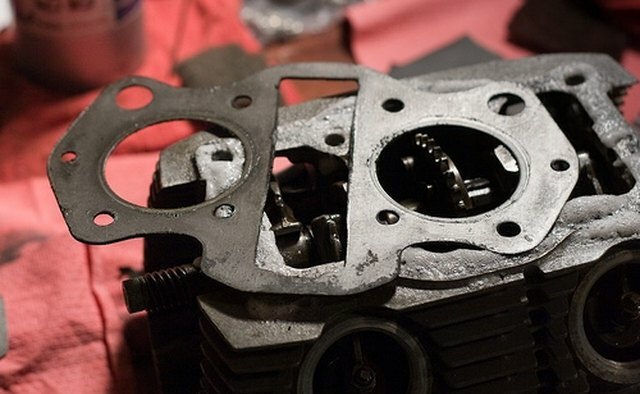 Use carburetor cleaning spray and rags to clean the two interior valves. If cleaning the valve fixes the problem, you may be able to return the unused part for a refund. 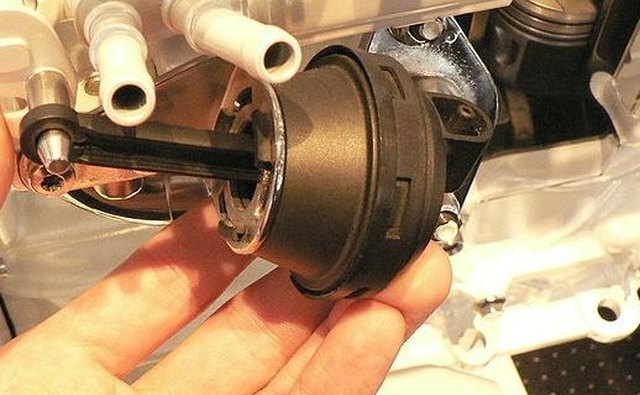 Never install a new EGR valve without replacing the gasket.